So here’s the deal. This Elda Lore thing had me wondering. Why? I mean if you’re already LB Dunbar, why? She’s amazing. However, I totally understand it. This is an entirely different world. It’s like she’s bringing back Greek Mythology but with a twist of understanding and awesomeness! Solis & Veva. OMG! Wow! I mean he’s a Greek god for goodness sake. Veva is not into giving a man a chance. Her mother made her very wary of men. 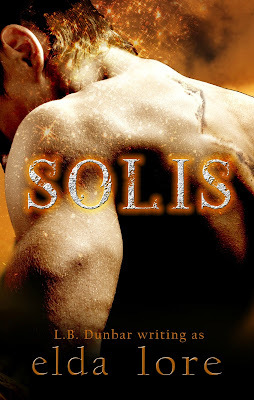 Solis is going to have his work cut out for him. But they are drawn to each other like magnets. They may have a long road ahead, but it’s gonna be awesome. 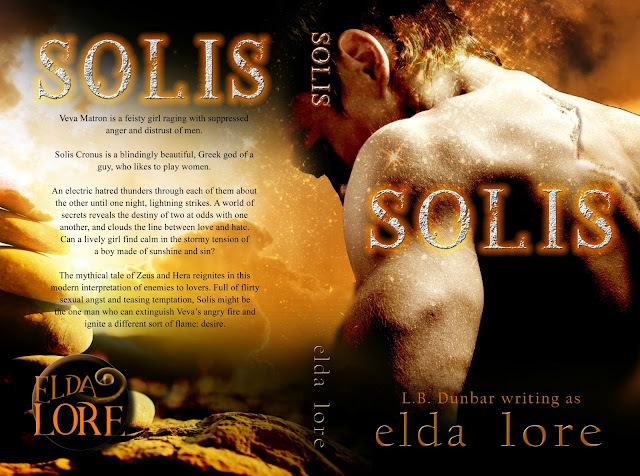 With Veva’s walls and pushing Solis away along with her heated emotions will she allow her heart to win? Solis was a player, will he be able to convince Vera that she’s if for him? He’s always gotten what he wants, how will he handle not getting the one thing he wants most? The writing, the story, the characters…..OMG!!! This is fantastic!!! This is definitely a must read! 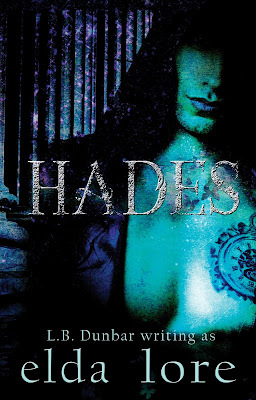 I did not read Hades first, I didn’t have time, but I will definitely be reading that now! I recommend reading that one first.